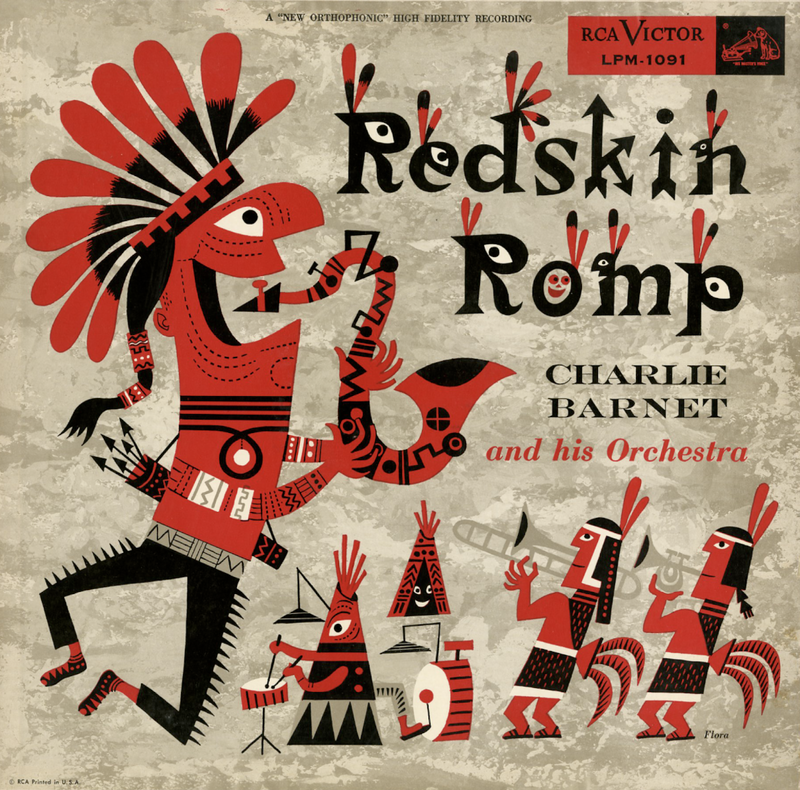 From Billboard - June 4, 1955: Here's a tastefully conceived and executed album of Barnet instrumentals featuring 12 arrangements by Billy May of tunes with American Indian title themes, ranging from the familiar "Cherokee" and a swingy "Iroquois" to an exciting "Comanche War Dance." 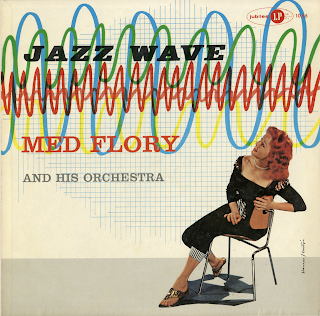 Thruout the LP, May's distinctive style (particularly noteworthy on a unique version of "Indian Love Call") furnishes a perfect showcase for Barnet's driving beat and musicianship. 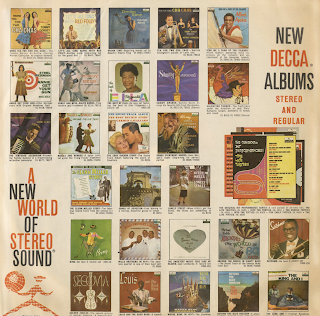 From the back cover: Some years ago, during the late forties to be exact, there was a mass exodus of jazz musicians to the land of Oo-Bla-Dee. It was led, of course, by such redoubtable guides as Dizzy Gillespie and Charlie Parker, but following in their footsteps there came a host of others who, led on by the particular hypnotism and sorcery of those two, soon found that slightly crazy area very much to their liking and permanently settled down. The sound that have since issued from beyond those frontiers have been extensively modified, but they still depend for their validity upon what the masters taught. And among the groups which gleefully explored this then partially unknown terrain was that of Charlie Ventura – a happy group, as we can hear in this instance, whose wonderfully inventive lines were some of the more sparkling to issue from the capital city of that land which was called Bop. 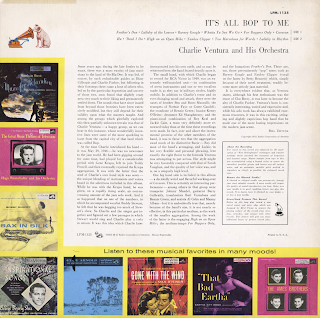 At the time Charlie introduced his band – it was May 29, 1946 – he was no newcomer to the jazz world, had played for a considerable period with Gene Krupa, left to join Teddy Powell, and then eventually rejoined the Kruppa aggregation. 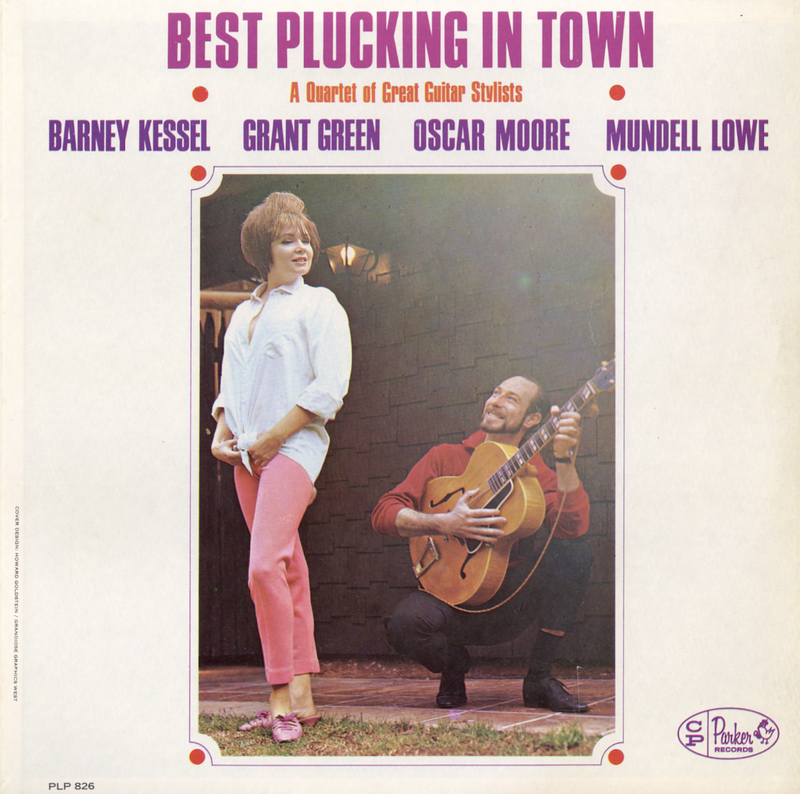 It was with the latter that the seed of Charlie's own band style was sown – the unique blending of instruments and voices heard in the selections included in this album. While he was with the Kruppa band, he was given, on a rapidly rising scale, an ever-in-creasing amount of the jazz solo work. And it so happened that on one of the numbers, it which he accompanied vocalist Buddy Stewart, he felt that he was hogging too much of Stewart's show. So Charlie and the singer got together and figured out a few passages in which Stewart would sing and Charlie play a coda in unison. It was this idea which Charlie later incorporated into his own outfit, and as may be witnessed here, the band leaned heavily upon it. 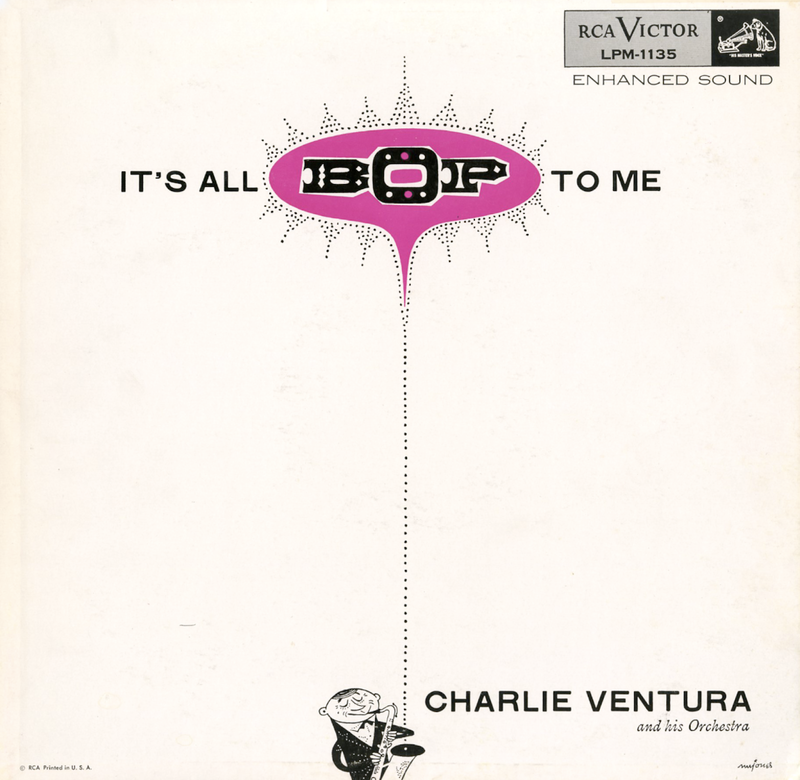 The small band, with which Charlie began to record for RCA Victor in 1949, was an extremely well-matched unit – its combination of seven instruments and one or two vocalists made it, as they say in military circles, tightly mobile. 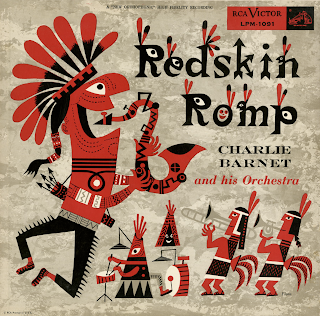 In addition to Charlie's tenor and its ever-changing mood and attack, there were the saxes of brother Ben and Boots Mussulli; the trumpets of Normie Faye or Conte Candoli; the trombone of Bennie Green; bassist Kenny O'Brien; drummer Ed Shaughnessy; and the piano-vocal combination of Roy Kral and Jackie Cain, a team very definitely more renowned today than at the time these recordings were made. In fact, over and above the instrumental prowess of the other members of the band, it was to these two that the aggregation owed much of its distinctive flavor – Roy did most of the band's arranging, and Jackie, in her very flexible and personal pharsing, lent exactly the right flavor to the formula Ventura was attempting to put across. 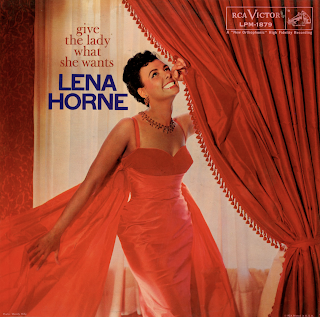 Her style might be very favorably compared with that of Sarah Vaughan, and the quality of her voice was, and is, on a uniquely high level. One big band side is included in this album – a decidedly weird and favorable working-over of Caravan. This is certainly an interesting performance – among others in that group were trumpeter Johnny Mandel, guitarist Barry Galbraith, trombonists Bart Varsalona and Bennie Green, and sexists Al Cohn and Manny Albas – but it is undoubtedly true that, merely because of the band's size, it is not nearly so effective, in this particular medium, as the work of the latter is the engaging High on an Open Mike; the medium-tempo For Boppers Only, and the bumptious Feather's Den. 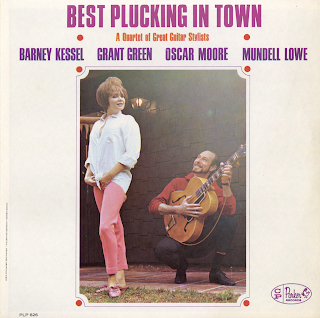 There are, too, those pre-eminently "pop" tunes such as Barney Google and Yankee Clipper (vocal on the latter by Betty Bennett) which, simply because of their novel treatment, readily become more strictly jazz material. 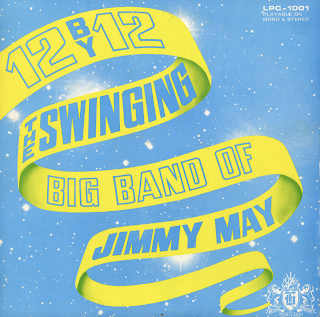 From Billboard - December 10, 1955: The former Krupa sideman leads a seven-man group thru a couple of very happy and relatively unrestrained sides. A lot of blowing goes on with Ventura's tenor spotlighted with trumpet, trombone and with the voice of Jackie Cain. The latter style (voice harmonically matched with an instrument), was first developed with vocalist Buddy Stewart in the Krupa organization and the technique again worked favorably here with Miss Cain. Tho the material shown here is now slightly dated it's all very pretty stuff and show plenty of imagination and skill. 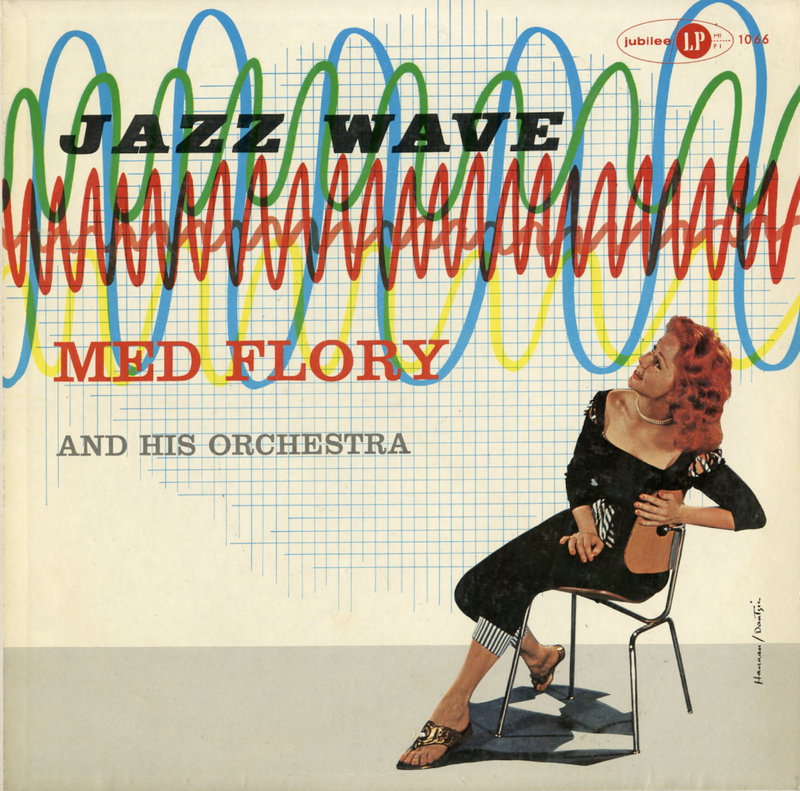 From the back cover: One of the most active and ambitious of the younger group of bandleaders, 'Med' Flory was born Meredith Irwin Flory in Logansport, Indiana in August 1926. Like any midwestern youngster interested in music, he grew up with the sound of swing in his ears, listening and dancing to the big jump bands of BG, Artie Shaw, the Dorseys, Charlie Barnett and Glenn Miller. By the time the craze for the big bands had died in the late 40s he was out of the Air Corps and studying for his B.A. in Philosophy at Indiana University. The class of 1950 gave a promising sideman on clarinet to Claude Thornhill. A stint with the genial Irishman Art Mooney followed. Then, in the summer of 1953, 'Med' played lead tenor with Woody Herman. The following year, he had his own band, which gigged around New York and recorded an album for Mercury's jazz label, Emarcy. Since then he has settled on the shores of the Pacific and been a busy member of that buzzing beehive of musical activity out of which, in recent years, has come "west coast jazz." 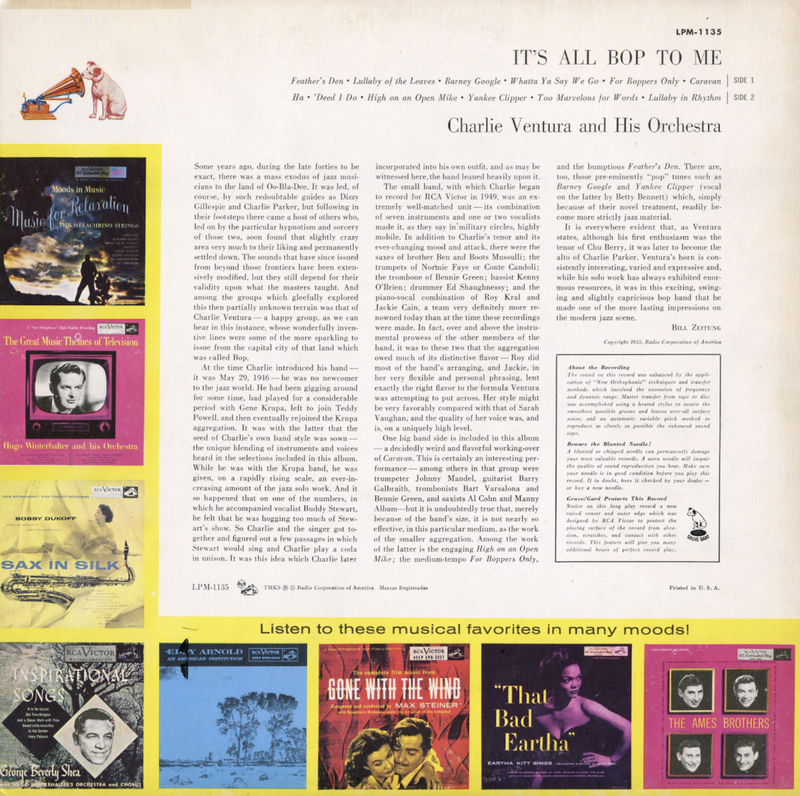 From Billboard - April 15, 1958: Some fine, big-band jazz is marred by cramped, muddy sound here. Otherwise, fanciers of Med Flory, who blows a strong, swinging tenor, and Al Procino, whose trumpet soars over a hard-driving brass section, will enjoy it. Selections are a mixture of standards and original arrangements which owe their parenthood to bop. 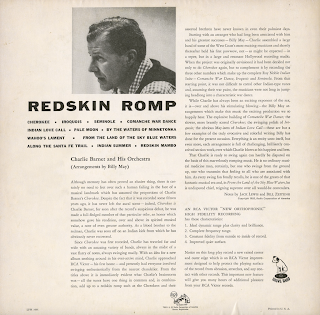 From the back cover: Hawkin's background in jazz is a long and distinguished one. Born in 1914 in Birmingham, Ala., he studies trumpet and began leading a college band while attending Alabama State Teacher's College. Leaving his home state in 1934, he brought the band to New York and opened August 11 at a vaudeville theater known as the Harlem Opera Hours, on 125th Street. During the next decade the band built a firm following, using Manhattan as its principal base of operations. In 1935 Erskine embarked on what turned out to be a nine-month engagement at the Ubangi, one of the last of the old-time Harlem cabarets featuring a big show with singers, dancers, comedians and the band. But the most celebrated association of the orchestra in the late 1930s was the Savoy Ballroom, where Erskine worked so often and for such long stretches that his was virtually a house band. An infectiously swinging band of music was dispensed by Erskine's men at the Lenox Avenue dance mecca (and it is important to remember that the Savoy was first and foremost a ballroom rather than a jazz center). Before long some of the bandleaders from downstairs, digging the sounds at the "Track," as the Savoy was nicknamed, borrowed and expanded some of the ideas that had originated there. Originally known as Erskine Hawkins and his 'Bama State Collegians, the band began its recording career in New York in July of 1936 and continued to record regularly until the early '50s. Despite all the problems confronting leaders who had tried to survive the chaotic post-swing years, Erskine maintained the big band format until 1955. After disbanding he headed various groups; he still fronts a larger orchestra from time to time. 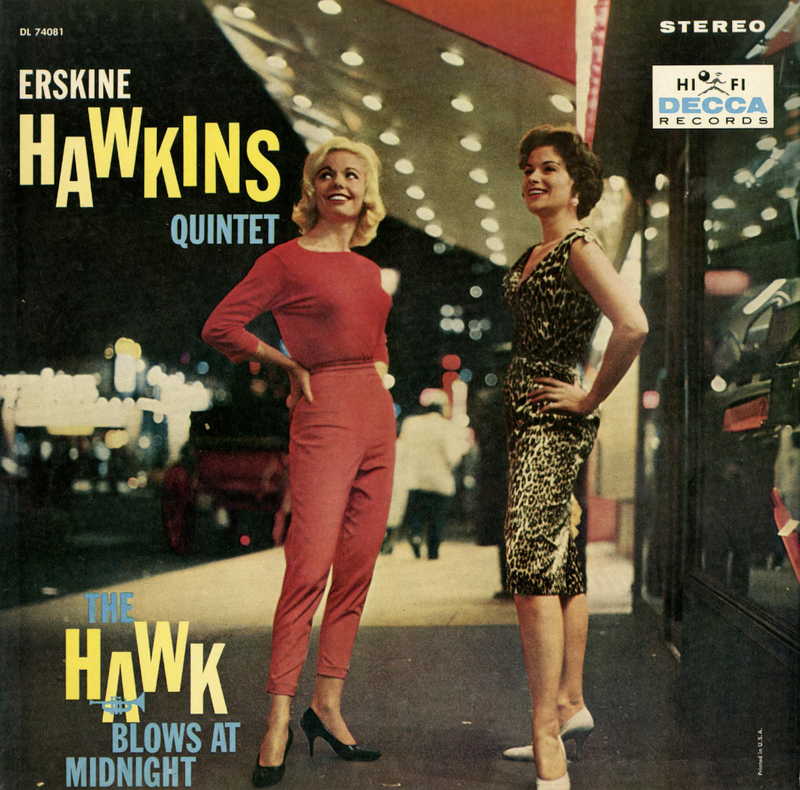 From Billboard - February 6, 1961: Erstwhile 1940's band leader Hawkins turns to the combo format here with good, pop-styled jazz results. He is joined on the date by alto man Bobby Smith and a rhythm group. Songs are a melange of standards like "Love Is Here To Stay," and older tunes identified with Hawkins, like "Tuxedo Junction" and "Tippin In." Danceable, listenable jazz that can have appeal in the kind of pop circles that dig the Jonah Jones approach, as well more pure jazz fans. Uneven sounding budget jazz compilation. 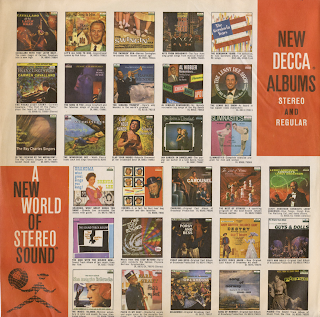 From the back cover: Here we have some variation with small groups and some large aggregations playing well conceived charts. It is this pot pour, to some extent, that make this recording a listeners delight, for it is not true that variety is still the spice of life? Available from online vendors so I will not be posting a sample. Presented here to share the cover and jacket notes. 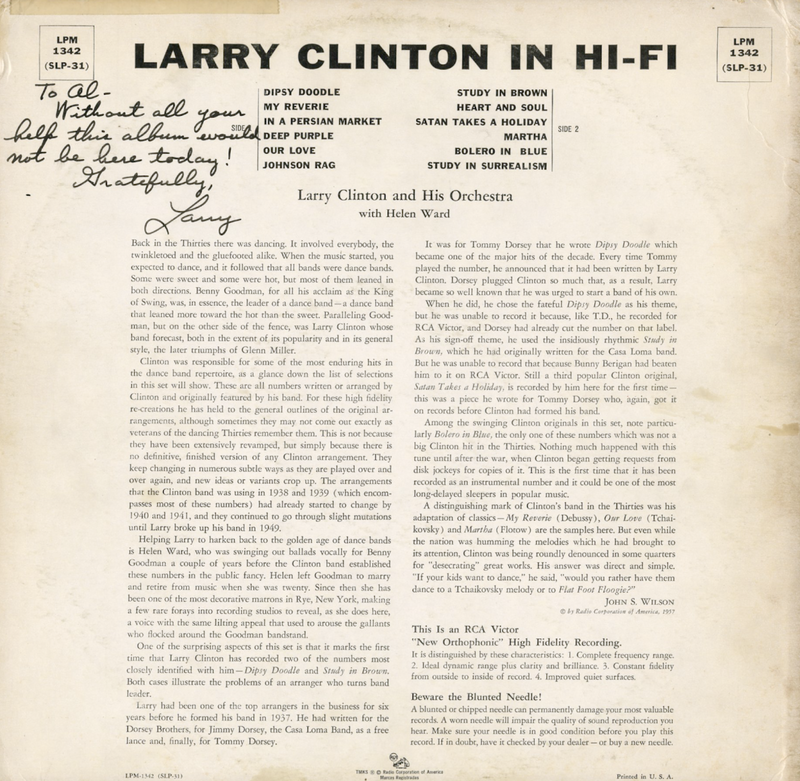 From the back cover: Clinton was responsible for some of the most enduring hits in the dance band repertoire, as a glance down the list of selections in this set will show. 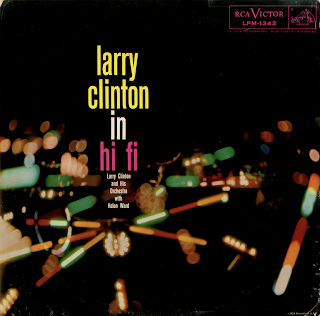 There are numbers written or arranged by Clinton and originally featured by his band. For these high fidelity re-creations he has held to the general outlines of the original arrangements, although sometimes they many not come out exactly as veterans of the dancing Thirties remember them. This is not because they have been extensively revamped, but simply because there is no definitive, finished version of any Clinton arrangement. They keep changing in numerous subtle ways as they are played over and over again, and new ideas or variants crop up. 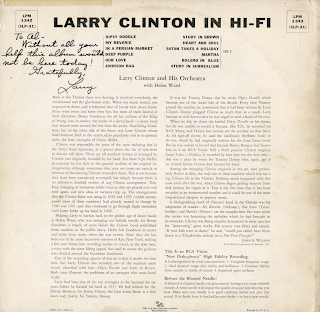 The arrangements that the Clinton band was using in 1938 and 1939 (which encompasses most of these numbers) had already started to change by 1940 and 1941, and they continued to go through slight mutations until Larry broke up his band in 1949. 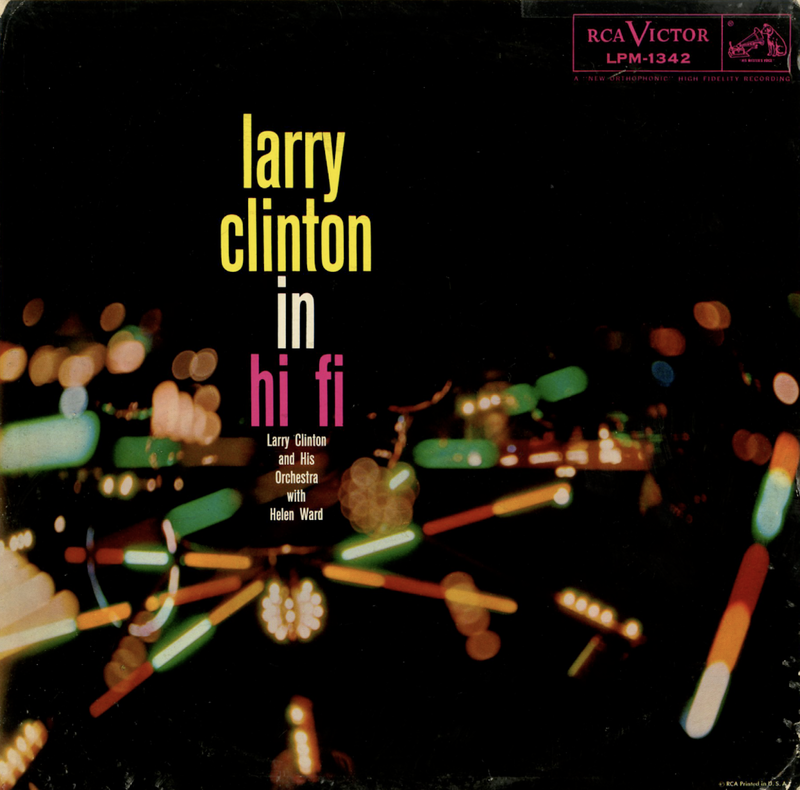 Helping Larry to harken back to the golden age of dance bands is Helen Ward, who was swinging out ballads vocally for Benny Goodman a couple of years before the Clinton band established these numbers in the public fancy. Helen left Goodman to marry and retire from music when she was twenty. 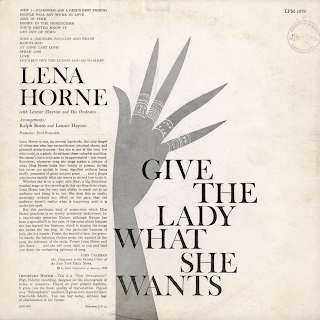 Since then she has been one of the most decorative matrons in Rye, New York, making a few rare forays into recording studios to reveal, as she does here, a voice with the same lilting appeal that used to arouse the gallants who flocked around the Goodman bandstand. 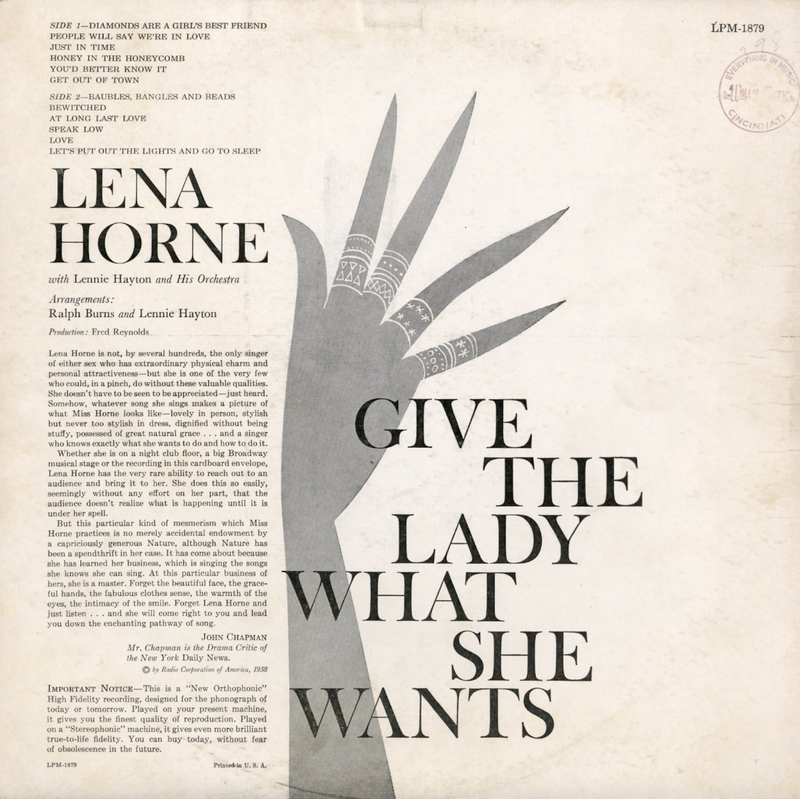 From Billboard - March 9, 1957: To one class of album buyers – those who were dancing and romancing in the late 1930s – this could strike a responsive chord. Program includes such well-known Clinton vehicles as "Dipsy Doodle," "My Reverie," "Study In Brown," etc. Oddly, Helen Ward, the one-time Goodman thrush handles the vocals instead of Clinton's Bea Wain, but few would quarrel with that change. Today's kinds may not know about Clinton, but once exposed, they'll find these numbers extremely danceable. We've heard higher fi elsewhere, incidentally. 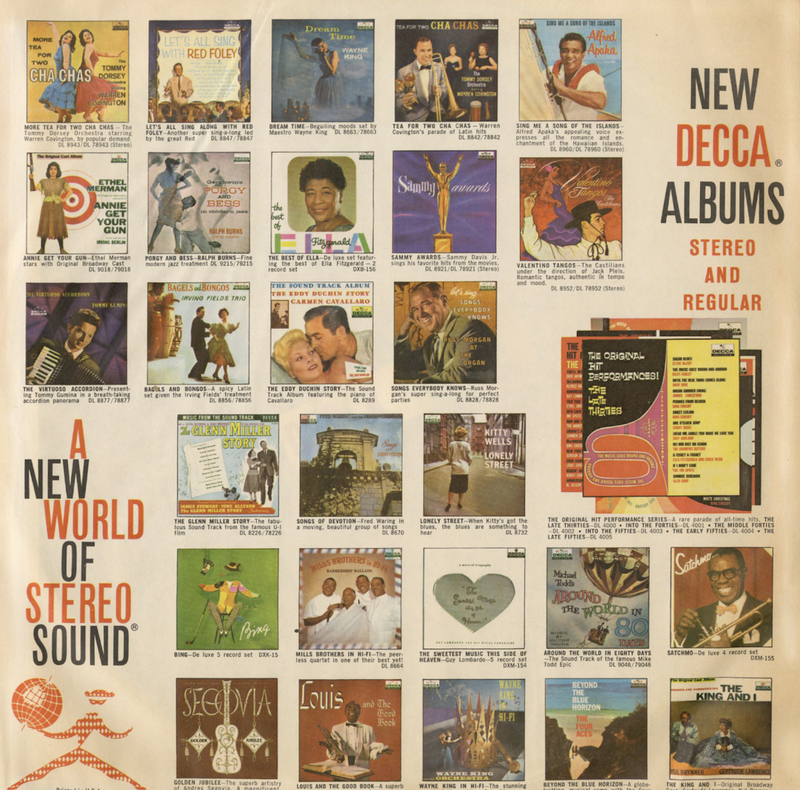 From the back jacket: J.J.'s emergence into universal jazz recognize by listeners, critics and musicians occurred only after a number of years of apprenticeship, self-searching, and not a little scuffling. He was born in Indianapolis January 22, 1924; studied piano at 11, and trombone at 14. He told J. Lee Anderson of Theme magazine (he won their 1956 poll too): "... during my second year of high school, I began to hang out with a bunch of fellows, all musicians. As time went by, these particular guys induced me to take up an instrument to sort of fill out their little ensemble. There were all kinds of players except a trombonist. We used to be great record fans... that was a period of great Basie doings, Jimmie Luneceford, Duke Ellington, all the terrific big bands – and we used to spend a lot of time at each other's house listening to what was going on." J.J.'s father, recognizing how serious the youngster had become about music, bought him a trombone. J.J. was graduated in 1941, and the next year, was on the road despite his family's opposition. He worked with Snookum Russell in 1942 when he met Fats Navarro. "Fats had a tremendous influence on my musical outlook in general," J.J. told Anderson, "because he was already playing so great and I was still trying to get with it, so to speak." When the Russell band evaporated, J.J. returned home. Benny Carter came through Indianapolis; in need of a trombonist, he let J.J. sit in for a couple of sets. J.J. left town again and was with Carter for nearly three years. "Benny Carter," J.J. emphasized in the Anderson review, "is one of the greatest musicians I've ever had the pleasure of working with. The whole time that I was with Benny's band, it was one continuous education in music." After Carter came Basie, and J.J. was with the Count from 1945-46. Basie wasn't recording much at the time, and J.J. can be heard in solo only on Rambo and The King. J.J. returned home again after Basie; and somewhere around this time, he also played in various small combos on 52nd Street. 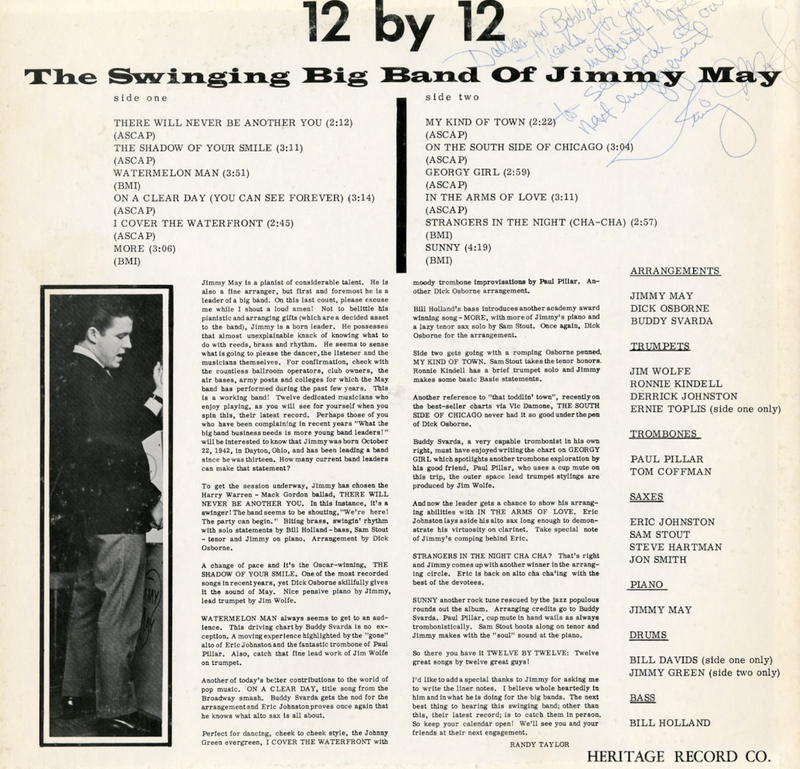 During this period, he was further developing the ability to adapt the newly commanding jazz conception of Charlie Parker, Dizzy Gillespie and others to the trombone. 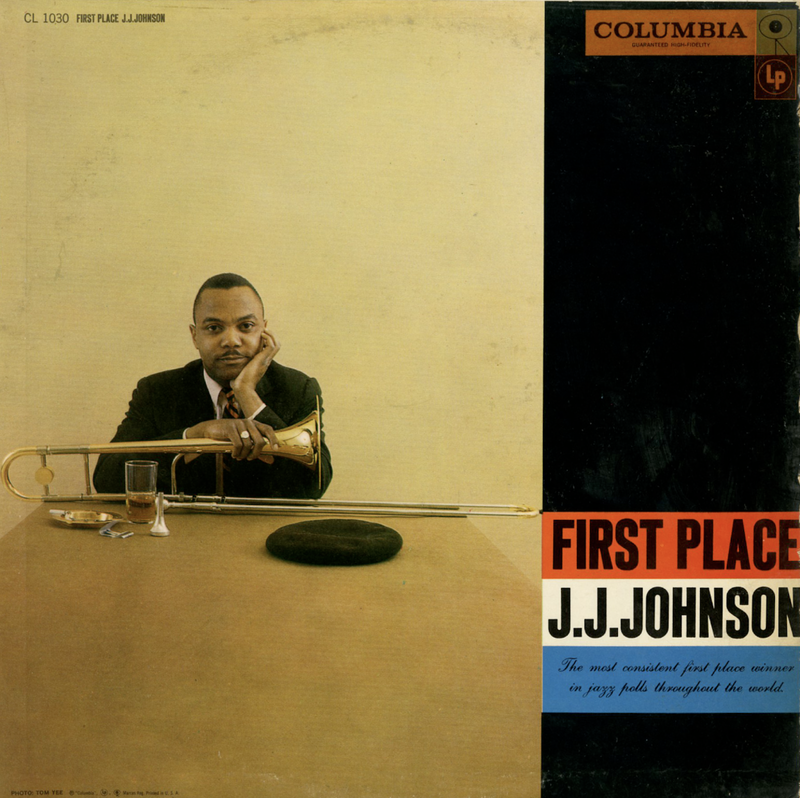 J.J. became the first throughly modern jazz trombonist on that instrument for most of the younger modern trombonists. J.J.toured with Illinois Jacquet from 1947 - 49; worked with the Woody Herman and Dizzy Gillespie bands; went to Japan on a rather stormy Oscar Pettiford USO tour in 1951; and then, to quote from his talk with Anderson again, "things began getting sort of wound up, going around in circles for me, so I decided to leave the jazz scene for an indefinite period. I wanted to get my thoughts collected and see just what I wanted to do." From August 1952 to June 1954, he was a blueprint inspector in a factory, and gigged occasionally, but not too frequently. I remember talking with him at Birdland during the spring of 1954; and it was clear by then that his relative inactivity as a musician was beginning to weigh on him. His job represented security; but the drive, the need to resume full-time musical living was becoming increasingly compelling. In August 1954, he teamed with trombonist Kai Winding for what resulted in two surprisingly successful years. The surprise was due to the fact that a two-trombone front line was unprecedented in jazz, and there were doubts at first whether the jazz public might not find that instrumentation limiting in sound. Rarely, however, has a new combo been received so warmly so quickly. 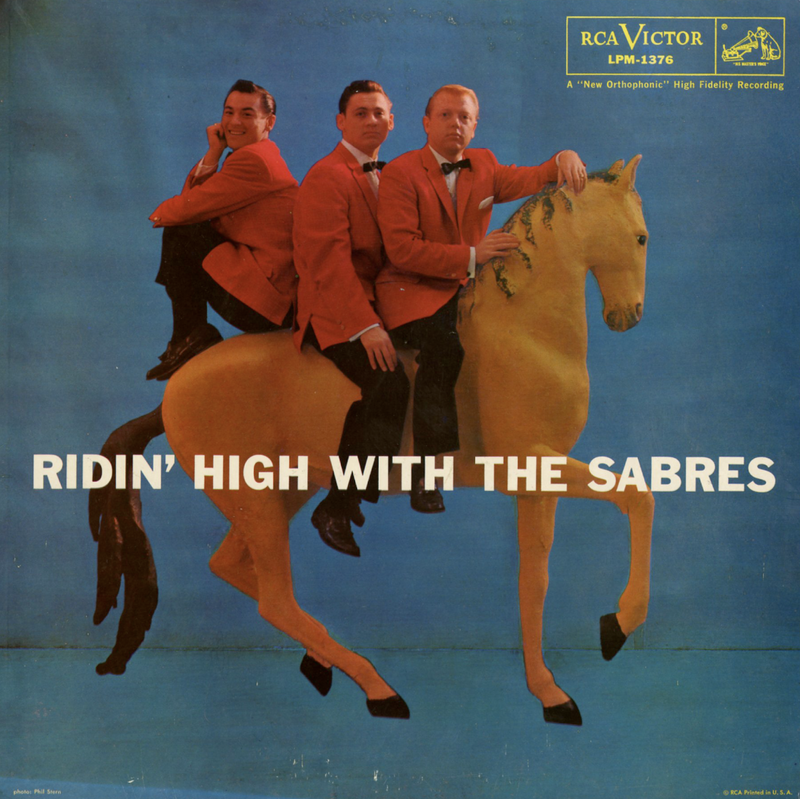 They recorded a sizable number of albums, traveled and re traveled the jazz night-club circuit, and played the Newport Jazz Festival a month before their dissolution. The team split not because of a diminution of bookings, but because both by then had become attached and challenged by the idea of heading (and exploring with) units of their own. Kai formed a septet with a front line of four trombones while J.J. added his horn the Belgian-born tenor, flutist and clarinetist, Bobby Jaspar. In the summer of 1957, J.J. toured the Scandinavian countries wth his present unit; and initial reports as of this writing, indicate that J.J. will win al Scandinavian polls for some time to come. 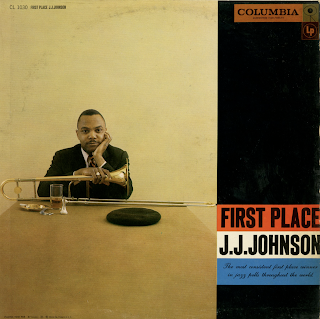 From Billboard - October 28, 1957: "First Place" refers to the trombonist's ascendance to the top rung of many recent jazz polls. In this new package, he adds more frosting to the cake. On these dates, contrary to previous ones, there's more free improvising and swinging blowing which is all to the good. Group also included Max Roach, drums; Paul Chambers, bass, and Tommy Flanagan, piano. 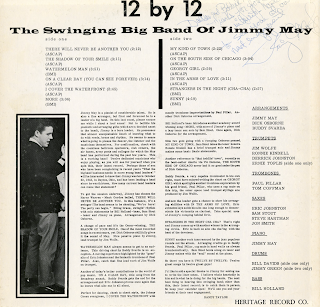 From the back cover: ...Jimmy was born October 22, 1942, in Dayton, Ohio, and has been leading a band since he was thirteen.